Appliqué and Patchwork are the two most gorgeous handcrafts in Gujarat. Dress materials, Saree, home decors, accessories and much more patchwork and appliqué products are widely available in several places across the state. Kutch, Junagarh, Amreli, Bhavnagar in Saurashtra region, Ahmadabad, Banaskantha are the travel locations in Gujarat where you will find wide range of such handicrafts. It is a French word which means ‘to apply’. In earlier time, women used to make quilts, apparels and dresses from scrap cloths. They used to join different types of fabrics that are cut in vivid shapes. By joining such scrap cloths these women used to make a whole spread. Though the method is famous in places like China, Pakistan and Egypt, but also in India, Gujarat is the place where still the women from Rabari tribe make such beautiful pieces. In appliqué work one cut the varied fabrics into various shapes and sizes and then stitches them on the exterior of another piece of cloth to give it a colourful look. The fabric pieces may be of geometrical shapes or may not be. This is the simple way of attempting appliqué. Bags, Dresses, Sarees, Home decors, Kurtas and lot more appliqué products are sold in the state. Patchwork is also like appliqué. Though they are similar but somewhere they are different from each other. In patchwork you also join the different fabrics on the exterior of another texture to give it a colourful look. 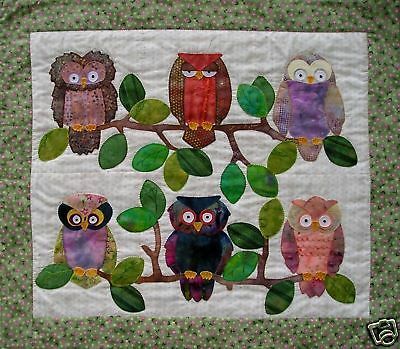 The difference with appliqué is that in patchwork the varied fabrics are of geometrical shapes such as square, triangle and such. However in appliqué these shapes need not to be mandatorily symmetric in shapes. It was the Mughal period when appliqué and patchwork became the most elegant and stylish way to show off the royal attitude. Though both of these methods were started for domestic use, as women were used to make new quilts from old torn pieces of cloths, both the processes become one of the most favourite styles now. 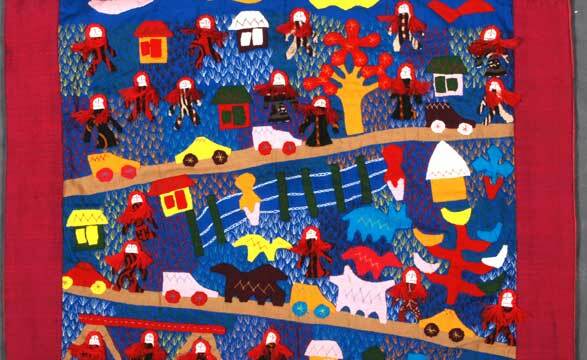 Patchwork is also an old handicraft that Gujarat endorses. Both the works are immensely popular not only in Gujarat but also in all over the country. Saurashtra region that contains places like Bhavnagar, Junagarh and Amreli has the most colourful and unique appliqué designs to offer.